At the beginning of June Her Majesty Queen Elizabeth II spoke before Parliament to outline the political agenda for the next year. 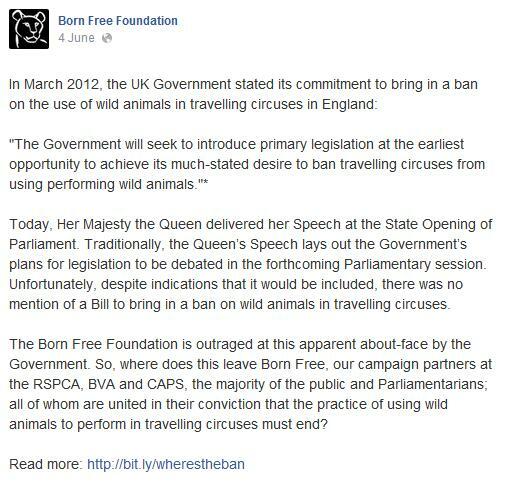 Poised and ready for triumph, Born Free Foundation supporters waited for Her Majesty to raise attention to animals in circuses and the desperate need to make this practice illegal. As the commotion of a Royal procession with footman dashing to Her aid signalled the end of proceedings, it was with a bitter taste that animal welfare campaigners were left to watch the political circus that ensued and the even more frenzied media circus (given that this was the last time the Queen will be in parliament before the 2015 general election) – whilst not a single nod was given to the cruel practices that occur in the circuses that we really wanted to talk about. 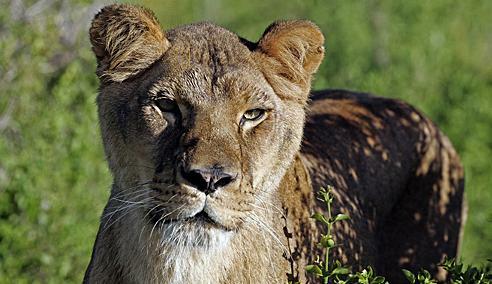 The ones that leave lionesses like Shada staring through the rusty bars of a 6ft by 6ft compartment of a squalid 18ft ‘beast wagon’, where she was solemnly caged alongside lioness Nalla and male lion Djunka, with whom she was used for breeding. Each compartment had been welded shut. Shada is just one example of a strong and majestic creature reduced to the cruel and undignified confinement that comes hand in hand with circuses. 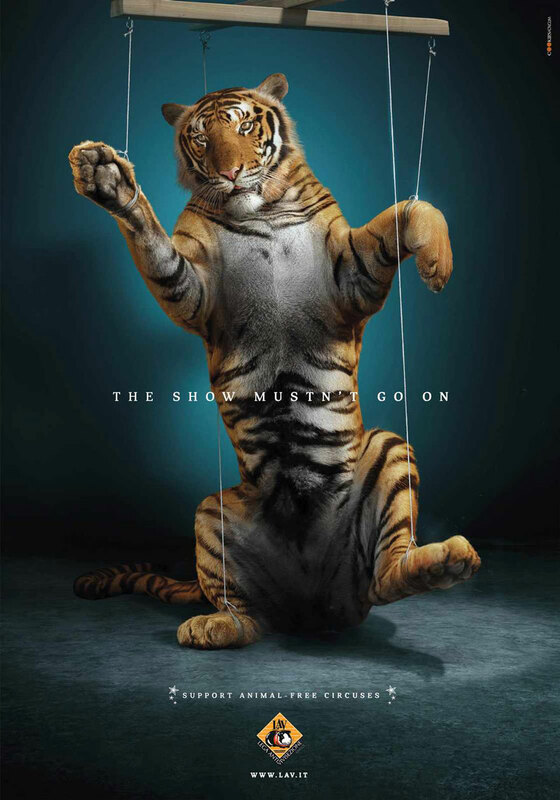 I’ve mentioned circuses some time ago, in a post highlighting the plight of circus lions through a hard-hitting ad campaign. I recently came across another poster design that brought the message home with similar impact – it’s hard to not feel something of a moral conscience with looking at images like this, surely? Personally, I’ve never been to a circus that uses performing animals – I remember watching an old documentary on Discovery Channel when I was pretty young, about circus cats and it was enough to put me off. I’ve seen the consequences and I have no desire to see the cause. 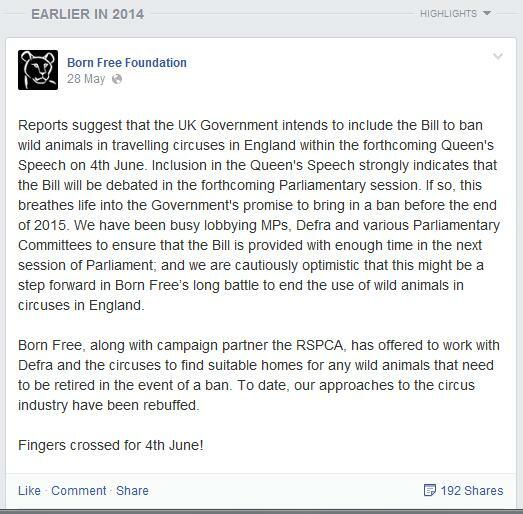 I just hope that the excellent work of the Born Free Foundation can help put an end to this barbaric practice. I’ve followed their updates on this cause for a long time now and it seems every time the desired results of a ban come within reach, some kind of trap door opens, and so the struggle begins again. Come on, it’s time we left the performance and draconian traditions to the ceremonial processions of Parliament – at least they choose to be there, even if they don’t stick to the script!